"Big Hero 6 a pretty cool Disney movie. I like it very much and want to keep it on my hard drive for playback at any time. Is there any good program to backup Disney DVD Big Hero 6? I tried several DVD ripping tools but failed eventually." It is true that Big Hero 6 is one of the most wonderful Disney superhero films and it is loved by many people regardless of age. After being released on November 7, 2014 in United States, it obtained both critical and commercial success. Besides, it also received nominations for the Academy Award for Best Animated Feature, the Annie Award for Best Animated Feature, the Golden Globe Award for Best Animated Feature Film, and the BAFTA Award for Best Animated Film. Truly, such kind of exciting movie is really worth watching over and over again. Fortunately, you have chance to rewind Big Hero 6 movie on account of the DVD release of Big Hero 6. 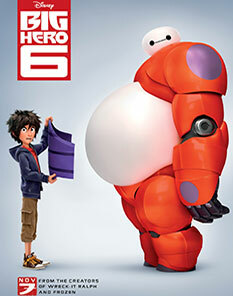 But if you want to play it on the move or store on your computer, you should consider how to make a digital copy of Big Hero 6 DVD. 4. The converted Disney DRM protected DVD movie may have no sound, mixed up, or with different lengths. Beyond question, the above-mentioned Disney's tricks make a majority of movie lovers feel hopeless and they believe there is no better way to rip Disney DVD Big Hero 6. However, don't get depressed. 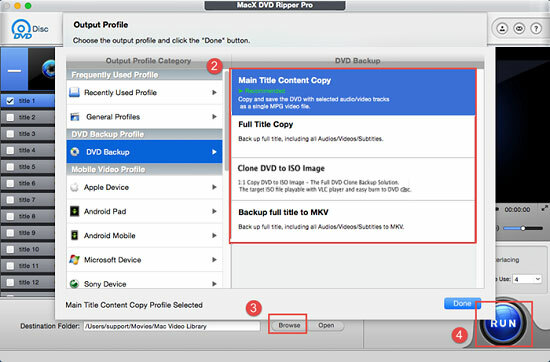 Unlike the common DVD ripping tools, MacX DVD Ripper Pro can easily decrypt and backup Disney DVD Big Hero 6 to MPEG2 file for storing on your computer or USB hard drive due to its outstanding decrypting technology. And this Big Hero 6 DVD ripper is not only can rip Disney published DVD, but also can freely rip various DVDs encrypted by CSS, Region Code, Sony ARccOS, UOPs, etc. Thus, users can make a copy for the latest movie DVDs with original video/audio quality, for example, Nightcrawler, Captain America: The Winter Soldier and more. Then, follow the four simple tips to rip and backup DVD as below. Free download and launch the amazing Disney DVD Big Hero Six ripper on Mac, click "Add" button to load Big Hero 6 DVD movie information. Tips: This Disney ripping software can automatically detect the correct title from the 99-title Disney DVD to ensure the main movie content to be ripped. After the DVD is loaded, choose one output profile to rip your DVD. Note: There are four DVD backup modes available for copying Disney DVD Big Hero 6 including Main Title Content Copy, Full Title Copy, Clone DVD to ISO Image and Backup full title to MKV. If you desire to backup Big Hero 6 movie in short time, you are recommended to choose "Main Title Content Copy". Press "Browse" button to select a destination folder to store your output Big Hero 6 Disney movie. Click "RUN" button to start Disney DVD Big Hero 6 ripping on Mac OS with 36X faster speed. After a few minutes, you can free enjoying this Disney movie on your computer. By the way, you also can directly convert Disney DVD Big Hero 6 to portable devices because of its nearly 300 preset profiles, for instance, iPhone 6/ 6 Plus, Samsung Galaxy S5, iPad Air 2, iPad Mini 3, Galaxy Note 4, HTC Desire 816, Surface Pro 3, PS4, etc. Kindly reminder：Bypassing any DRM technologies is illegal and every country has different copyright law about commercial DVD ripping and copying. You'd better consult your local copyright law before ripping any copy-protected DVD.